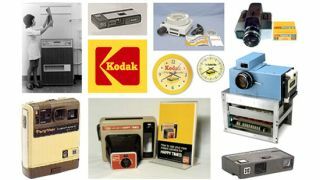 Google, Apple and a coalition of other tech giants have been given permission to buy Kodak's patent portfolio following the imaging giant's slip into bankruptcy. U.S. bankruptcy judge Allen Gropper has now approved the $527m (UK£326, AUD$500) package offered by the alliance late last year, Bloomberg has reported. Kodak, which is selling off the 1,000-strong patent portfolio as it seeks to exit bankruptcy protection, had initially asserted that its intellectual property was worth well over $2 billion. The company was "disappointed" by the independent valuation of the patent bundle, according to the judge, but accepted it had gotten the best deal it could. Apple and Google had led separate groups bidding for the patent portfolio before they decided to join forces. Tech big-hitters like Facebook, Amazon, Microsoft, RIM and Samsung are also in on the deal. The rival companies have teamed up to give everyone protection against potential litigation in future patent disputes. With any luck, the agreement should see less courtroom drama in 2013.